The Which? Awards 2012, which celebrate the UK’s best businesses, were presented today alongside a keynote speech on responsible business by the Rt Hon Ed Miliband MP. 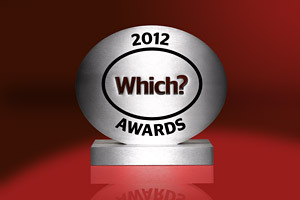 In the awards’ sixth year, car manufacturer Kia – never previously shortlisted – scooped the Which? Best Car Manufacturer award after scoring highly in our survey for both customer satisfaction and reliability. Retailer Lush also became a first-time winner, receiving the coveted Which? Best Retailer award. Co-operative Energy has been awarded our Positive Change Award, which recognises a company that has made significant changes to give its customers a better deal. The company won in recognition of its simple pricing policy, clear information and advice to customers – and for introducing a new market leading tariff to win The Big Switch auction. The nominees for the Which? Local Business of the Year and The Good Food Guide Reader’s Restaurant of the Year are chosen by consumers, with our experts then choosing the overall winners. Which? chief executive Peter Vicary-Smith, said: ‘As consumers feel the pinch, they are becoming more discerning. When we asked consumers what single behaviour they most associate with a good business, excellent customer service came first.